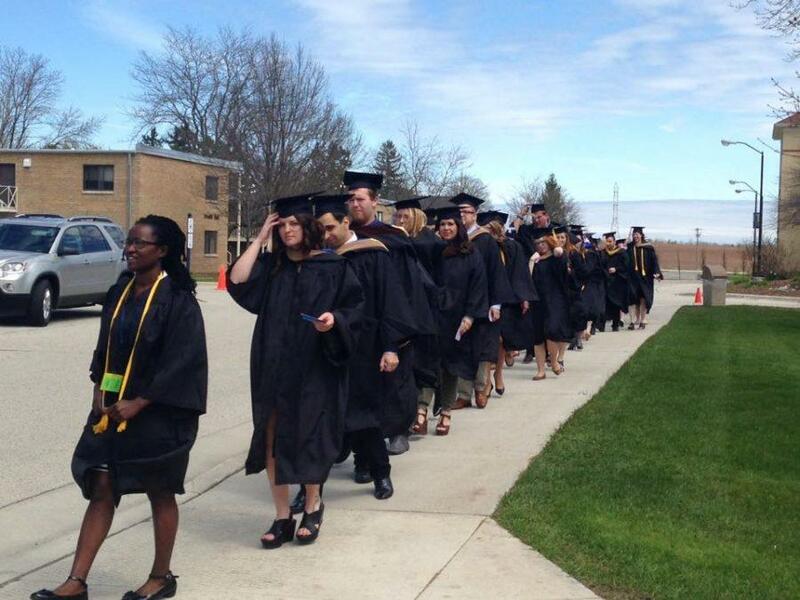 Lakeland’s 154th Commencement Ceremony took place on Sunday, May 1, with the Graduate and Undergraduate ceremonies each held separately. During each ceremony, the declaration and welcome was given by Vice President for Academic Affairs and Dean of the College Meg Albrinck, followed by the invocation by College Chaplain Lex Cade-White and the introduction of the speaker by President of the College Dan Eck. The Graduate Commencement Ceremony Address was given by Dale Vos, M.B.A ’12, district sales manager at Great Lakes Hybrids. At the Undergraduate Commencement Ceremony, the Commencement Address was given by President and CEO of ACUITY Insurance Benjamin M. Salzmann. In both ceremonies, the presentation of degrees was done by Albrinck, and the presentation of the diplomas was done by Eck and Board of Trustees Executive Committee Member & Immediate Past Chair Robert T. Melzer. At the Undergraduate Ceremony, the Class of 2016 Representative and winner of Clarence H. Koehler Campus Senior Award Callie Olson next spoke to the graduates. She emphasized how the past four years at Lakeland have brought “Opportunity,” not just to her, but to other student athletes, those in sororities, fraternities, those who have raised families while attending classes and for many others on this campus. Olson continued her speech and then took a selfie with the entire graduating class from her position at the podium, stating that she could easily post that picture to Facebook, Twitter and Instagram for friends and strangers to see in a few second’s time. She spoke of unity and closeness despite our advancing technologies and vast social networks that can seem to distance us more than bring us together. In closing, she said, “I wish even more for you to invest in … meaningful relationships” with each other and others you meet.